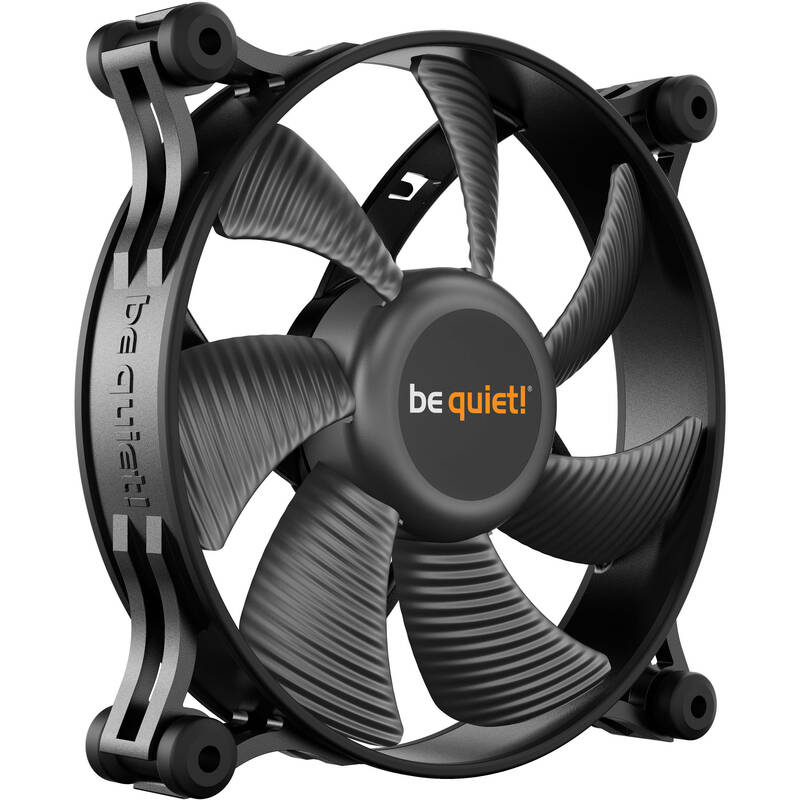 Keep your PC build cool and quiet with the Shadow Wings 2 120mm Computer Fan from be quiet!. This 120mm computer fan boasts airflow-optimized fan blades and a fan speed of up to 1100 rpm, while its rifle bearing helps to boost its lifespan. Equipped with a four-pole fan motor, the Shadow Wings 2 comes with anti-vibration mountings designed to keep noise to a minimum. The included pushpins allow you to install the fan without screws. Removable anti-vibration mountings on all four edges of the fan are designed to reduce vibrations transmitted to the PC case. In addition, the fan is equipped with a rubberized frame that reinforces the anti-vibration concept and helps to ensure vibrations are reduced to an absolute minimum. The fan's rifle bearing technology helps to ensure a lifespan of up to 80,000 hours. Allows for fast and secure installation without the need for screws.